It is simply the buying and selling of Stocks. There are many ways that people go about playing the game of stock investing. And there are multiple outcomes to them doing so. Some people, after playing the stock market, end up no better or worse off than before, some end up flat broke, and some end up rich. People invest according to their goals and the results are generally in accordance. Sometimes people engage in stock trading simply for the prospect of good dividends. If the company does well and the management thanks its investors properly, this goal is reached. People are generally looking for a large enough output in dividends to pay for the investment and make a nice profit in time. When investors are looking for this type of outcome, cash cow companies are generally targeted. These companies are generally several years old, thoroughly mature. Their profits are steadfast, not moving in one direction or another a whole lot. Their profits are fairly predictable, as well as their dividend payouts. Many companies pay a predictable amount of dividends at the same times every year. Sometimes people use stock trading as a get rich quick scheme. These investors are generally not looking for a dividend payout, but rather a stock that it's value will soar over time. These investors choose investments that have a great potential to make them money. The only problem is that these investments also have the same potential to lose them money. Generally, the greater the possible return on stock, the greater the risk. That is why only a select few get rich off of the stock market. Some are too scared to take the great risks, and others lose when they do take the risk. That leaves only those who carried out a proper research, learned on how to manage and reduce the risk, and were lucky enough to see it pay off. 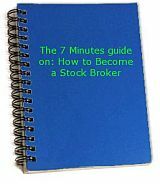 There are also investors who take part in stock trading for the purpose of selling their investments for small returns. Although these investors are not looking for long term dividend payouts, they aren't looking for a quick money making plot either. They are simply trying to ride the more predictable ups of the stock market. These investors are generally looking for companies that are doing well. They are looking for securities that are expected to rise in the near future. However, unlike the real risk takers, they aren't looking for the enormous payout, because they aren't ready to take the kind of risk that is involved. There are many ways the stock market can be played. Many people analyze the market and choose their investments for themselves using formula plans. Some then go about investing through online stock trading. Some get advice from their stock brokers. Some hire a professional to do this work for them. The upside of doing it yourself is that you don't share your profits. However, the upside to having a professional do this is that it is a professional. It is someone with experience and expertise in this area.